At North Adelaide Physiotherapy Clinic, we have expert experience treating painful foot, lower limb and even lower back problems with the use of custom made, corrective and supportive called orthotics. Our orthotics are made with the use of a dynamic and functional pressure sensitive pad so that you get the best support during activity when you need it most. Orthotics are a type of arch support, which can be made of rubber (soft) or flexible plastic (semi rigid). They sit discretely inside your shoe/sandal/boot, under your foot, supporting the arched structure of your feet. They may be the full length of your shoes, or otherwise, designed to end just behind the balls of your feet. Painful calluses and corns on the soles of the feet. Knee, hip and lower back pain caused by poor joint alignment due to bad foot posture. The orthotics prescribed by North Adelaide Physiotherapists are tailor made for your feet, and are designed to support your feet accurately in a more functionally effective position. The support and realignment achieved when wearing orthotics will alleviate joint and soft tissue strain, and allow your feet to provide a stable foundation for the rest of your body. When you make an appointment to see a Physiotherapist we will take a detailed history of your problem and any related medical problems you may have. This is followed by an examination of the painful area/s. We will then do a digital biomechanics exam called Gait Scan. This enables our physio to examine with the aid of a pressure pad and state of the art software, what the exact underlying problems to your condition are and hence find the best cure/remedy/treatment for your problem. 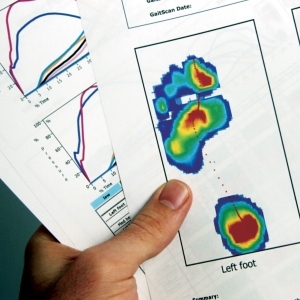 This type of examination is the only way that you can accurately assess the functional and dynamic pressures that are generated by your feet and lower limbs. If the problem you are experiencing can be traced back to the effects of faulty foot posture, then orthotics are easily designed using our 3D pressure pad analysis with no mess or fuss like the old style plaster type casting. The whole process takes only 7 minutes to analyse so that you can get back to being painfree straight away! A digital posture scan will also be done to look at the angles of the hip/knee and feet and to see if these are a contributing factor to your pain. 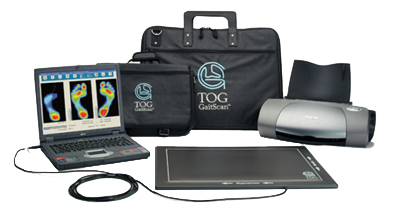 This complete analysis system of looking at the angles of the lower limb and then comparing to the 3D gait analysis will give you the best orthotics available for your condition. These orthotics will provide you with your best chance of rectifying the problem and eliminating the pain. You will also be given footwear advice, and exercises to help speed up the realignment process and fast track your rehabilitation letting you get back to “your old self again. Orthotics restore your normal foot function and aim to achieve total postural realignment.